Playskool Friends My Little Pony toys are really cute. 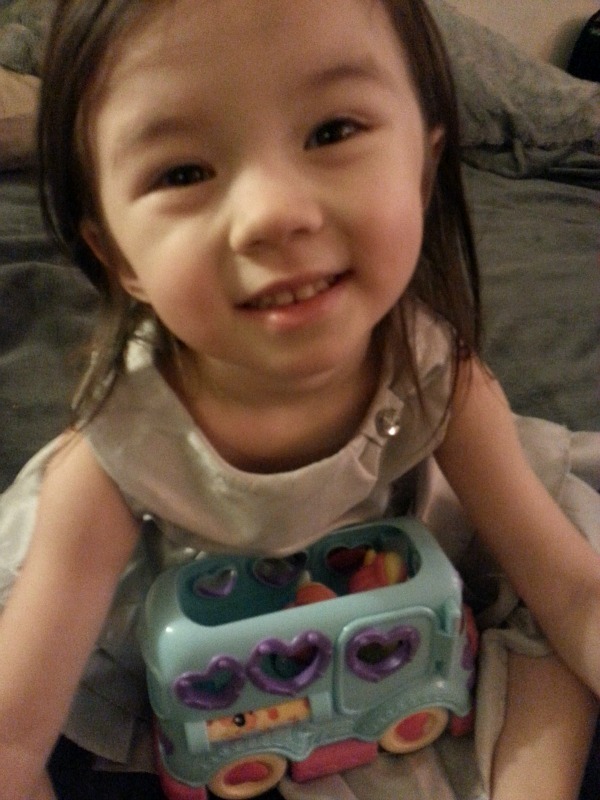 My daughter was so excited we got this toy sample from Crowdtap. Crowdtap is a fun website where you can share your opinions for a chance to win prizes and samples. You do not need to have a blog to join. 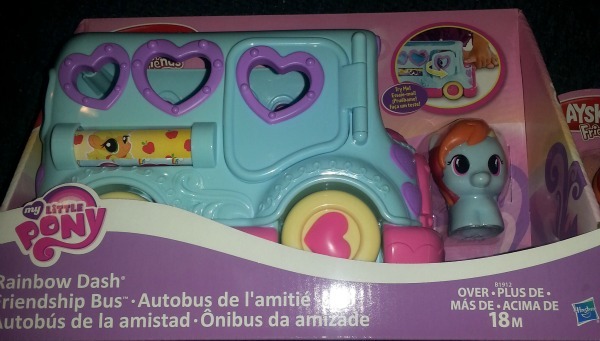 Back to this cute Rainbow Dash Friendship Bus. The door opens easily with a push of a button. 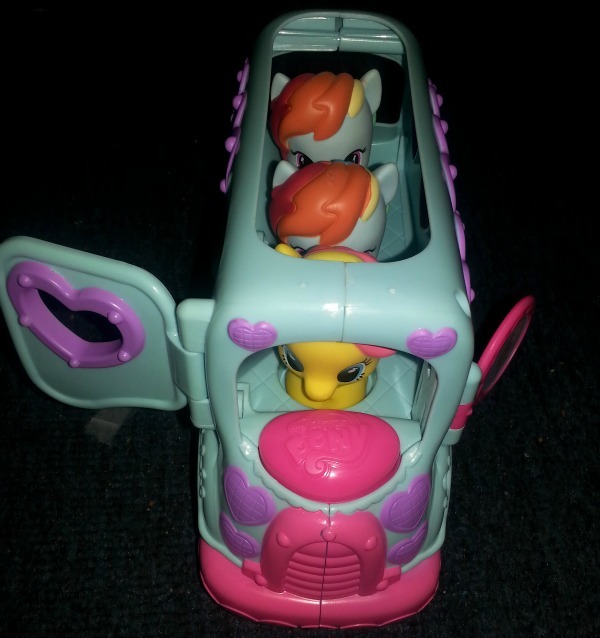 The bus fits 3 ponies. It is made for ages 18 months and up. My daughter, Nia, is 3 years old and loves it. And remember My Little Pony can be for boys too. My son thinks they are adorable. He probably won't admit to that in public. You can also find two packs in the stores. They are sold at Target and Toys R Us. 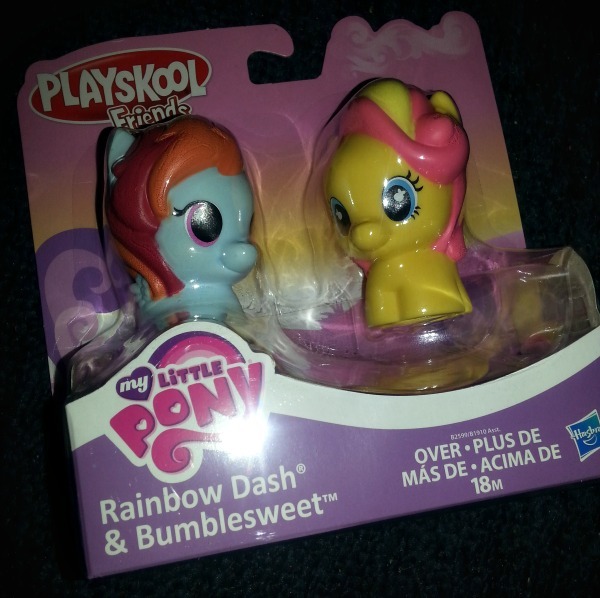 This pack contained Rainbow Dash and Bumblesweet. As a child, I adored My Little Pony Toys. They were a different style back then but these would have been on my wish list. Nia has decided to put as many toys inside her bus. Sometimes she gets upset if she can't fit her play doh inside along with the ponies. There is a castle that goes along with these toys. She has already seen it on YouTube and wants me to get it. Isn't fun to see toys you played with as a kid come full circle? Some things, like My Little Pony will always be a classic. A warm fuzzy memory in your heart. Who am I kidding? I want to play with all of these new toys.